Bonnie Brooks has been at the top of the Miami real estate business for over thirty years, specializing in luxury properties and achieving record-breaking sales in Miami Beach, Bal Harbour, Bay Harbor Islands, Keystone Point and Sans Souci Estates. She is one half of the original Miami Beach power team, along with Ilene Tessler, fellow South Florida native and best friend since age twelve. The pair graduated Miami Beach Senior High, then taught school together in Baltimore and later moved to New York before settling back home in Miami, where they discovered their shared passion for the real estate profession. At Wimbish-Riteway and then Coldwell Banker, Bonnie and Ilene were honored every year as members of the prestigious Legend Society which represents the top one quarter of one percent of all Coldwell Banker associates, They also appreciated nine successful years as part of the Turnberry International Realty's family as Vice Presidents of sales and as managers of the Bay Harbor office. Additionally, they belong to the elite Master Brokers Forum, they are listed in "Who's Who in Luxury Real Estate" and received the Award of Excellence. 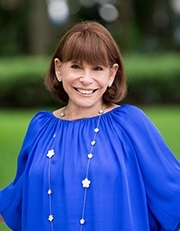 Award-winning realtor Ilene Tessler has been one of Miami's premier agents specializing in the luxury market. She and Bonnie Brooks united to become the first-ever real estate team in Miami Beach, achieving recording-breaking prices in Bal Harbour Village, Bay Harbor Islands, the Venetian Islands, North Bay Road and Keystone Point. Bonnie and Ilene met at age 12 and later graduated Miami Beach Senior High School. Subsequently, they moved to the Northeast where they taught fourth grade together before settling back home and entering the real estate business. First at Wimbish-Riteway and then at Coldwell Banker, Bonnie and Ilene were honored every year as members of the prestigious Legends Society which represents the top one quarter of one percent of all Coldwell Bankers Sales Associates. They also enjoyed nine successful years as part of Turnberry International Realty's family as Vice Presidents of Sales, where they managed the Bay Harbor Island office. Additionally, they belong to the elite Master Brokers Forum, are listed in the "Who's Who in Luxury Real Estate" and received the Award of Excellence. Over the past thirty years Ilene has not only seen astounding sales, but also many of the same clients who are drawn to her knowledge, uncompromising integrity, attention to detail and genuine concern for their interests and ultimate results. Many of her clients are referred by others she has worked with. Ilene feels very blessed to have a long and successful real estate career, and because she has been able to work so closely with her talented daughters, Michele Tessler Berlowitz and Joanna Tessler, who both genuinely share her passion for the business. 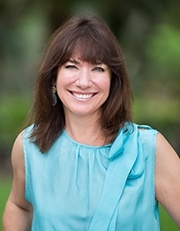 Joanna Tessler is premier broker of luxury residential properties throughout Miami, with a focus on the waterfront neighborhoods of Bal Harbor, Bay Harbor, Surfside, Keystone Point, Aventura, and Miami Beach. She began her career as a fundraiser in the non-profit sector, where she honed her networking and organizational skills. Having grown up in the real estate world, tagging along with her mom to showings all throughout her childhood, Joanna’s transition to the business felt entirely natural and somewhat inevitable. Her entry into the professional Real Estate world was in New York City where she was licensed with Halstead Properties, specializing in Manhattan’s Upper West Side. 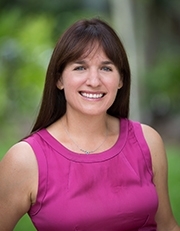 Joanna’s referral network has allowed her to facilitate transactions in Coconut Grove, Coral Gables, the Keys, Boca Raton and as far north as Palm Beach. Her referral network is strong and it allows her to keep a pulse on her clients best interests by combining efforts with her counterparts in the field. Having grown up immersed in the world of real estate, it’s no surprise that upon graduating college Michele joined forces with her mother, Ilene Tessler. She had found her passion and never looked back. Michele has had 25 successful years in the business, and last year was honored to receive Turnberry International Realty’s most prestigious Diamond Award for highest category net sales in the firm. Nobody understands—or loves—Miami more than Michele. Raised in Keystone Point and raising her own family in Bay Harbor Islands, she is a true South Florida native who has enjoyed watching her hometown grow into bonafide cultural center. 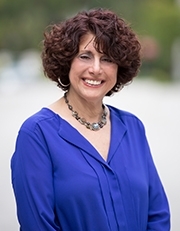 Michele’s clients appreciate her vast knowledge of the area, as well as her honesty, adeptness at the negotiating table, and most of all, her ability to make an emotional and stressful process smooth and even enjoyable.